The Australian Dictionary of Biography is a marvellous resource, especially since it has been available online. Written by a wide range of authors, its entries sometimes require revision, as is the case with the one the late University of New England academic, Bruce Mitchell, wrote on William Henry Gocher (1856–1921). Described as a ‘pioneer daylight surfer’, Gocher has become part of Sydney’s surfing history. This is an honour he did not earn and does not deserve. He is said to have played a pivotal role in overturning legislation that hampered the emergence of Australian beach culture. I believe the story of Gocher’s role is little more than an urban myth, created with the help of his friend, solicitor Frank Donovan. 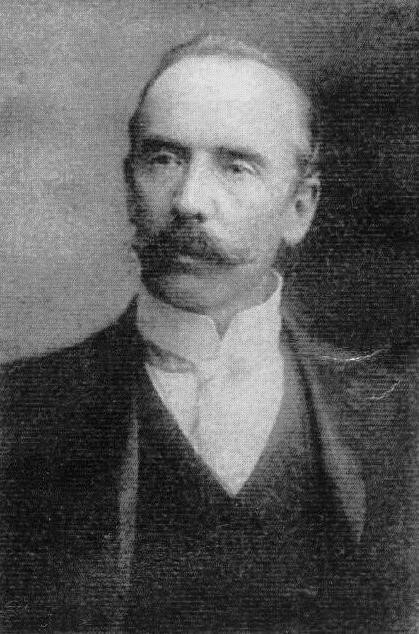 For some years Gocher wrote for John Norton‘s Truth; when he inherited money in 1900 he moved his family to Manly and established a short-lived newspaper, the Manly and North Sydney News. Through this paper he staged the scene at Manly for which he is remembered. He determined to expose the irrelevance of the local government regulations which forbade sea-bathing in daylight hours. The issue was one of public decency as there were no changing sheds and swimming costumes were rare. Clad in a neck-to-knee costume, Gocher in October 1902 swam at midday after announcing his intentions in his paper. Twice ignored by the authorities, he duly criticized their lack of zeal; on a third occasion he was escorted from the water and interviewed by the police who brought no charges. In November 1903 the reluctant Manly council resolved to allow all-day bathing, rapidly growing in popularity, provided that a neck-to-knee costume was worn. Gocher claimed a triumph and in 1907 friends presented him with a gold watch and a purse of fifty sovereigns. While Gocher may have performed this stunt, no contemporary record of his ‘exploit’ exists, nor did it have any impact on Manly Council’s decision to change its bathing regulations. Linking Gocher with this decision is erroneous. Further, as Manly was not the first local council to change its regulations, its decision was not a ‘pioneering’ action. Sydneysiders first heard about Gocher’s ‘triumph’ five or six years after the ‘event’. According to an article in the Daily Telegraph in January 1907, Gocher had challenged the restrictions on daylight bathing and initiated the ‘first decisive move in the direction of free and open dipping on Manly’s glorious beach in Australia’s brilliant sunshine’. Apparently, on some unspecified date, Gocher swam outside of the prescribed daylight hours and unsuccessfully challenged the police to prosecute him, thus making a mockery of the restrictions on daylight bathing. This, it was claimed, led to the legalisation of all-day bathing. Although most Manly residents were unaware of his ‘triumph’, Gocher was not a complete nonentity. He was involved in the Manly Progress Association and had unsuccessfully stood for political office on a number of occasions. However, his attempt to enter local politics in Manly in February 1903 resulted in a crushing defeat. The Daily Telegraph article and one Gocher himself wrote in 1910 in The Sydney Sportsman are the only sources for what has become one of Sydney’s urban myths; no account of surfing or beach culture is complete without it. In Gocher’s account he placed himself beside Truth proprietor John Norton as a champion of freedom against stuffy morality. Manly Council was depicted as the villain in the piece in both articles, but more so in Gocher’s later article, as the story developed. Swimming and surfing in daylight hours became legal in Sydney as the result of an incident at Bondi. As at Coogee and Manly, ‘ocean bathing’ had been popular at Bondi since the 1880s so, when two policemen unexpectedly appeared on the beach with notebooks in hand on 13 November 1902, regular early morning surfers were defiant. This police visit was a result of a complaint to Waverley Council that, ‘unless they are properly and becomingly clad’, bathers at Bondi were in breach of the Police Offences Act. Most of the bathers held back, but about fifteen plunged into the water. Immediately, the policemen began taking the names of those clad in ‘small trunks’. As a local clergyman and several professional men were among the miscreants, a furore erupted. So long as the bathers wear suitable bathing costumes and public decency is not outraged, I am unable to see that a practice permitted for so many years should be stopped … Unless, therefore, I receive instructions from the Government to the contrary I do not see my way to take action beyond instructing the police that decency is to be observed. No-one was going to be prosecuted as long as Fosbery was in charge of police. Ten days after this declaration, Randwick Municipality proposed allowing daylight bathing; it was the first council to do so in New South Wales. Then, in early December, the Executive Council gave its approval for this by-law allowing male and female bathing in the sea in the municipality ‘at all times and at all hours of the day’ provided people were clothed ‘from the neck and shoulders to the knees with a suitable bathing dress or costume’. A year later, in November 1903, Manly Council also changed its bathing regulations, but only after three issues had been resolved. The first two, relating to ‘decency’ and surf safety, were common to all Sydney’s beaches. As a Council by-law specifying neck-to-knee costumes was being ‘rigorously enforced’ and a Council-sponsored surf-boat would rescue, it was hoped, those in danger of drowning, it was considered prudent to make a change and allow surfing at any time. The third issue explains the timing of the regulation change. This was a purely local matter, involving the renewal of the harbour baths leases. The old lease had expired on 1 October 1903 and a new agreement was to be negotiated. As a result, a three-year lease of the men’s baths for a significantly smaller sum than before was agreed to, in recognition of the fact that the baths’ profitability would decrease with the introduction of all-day bathing from the ocean beach and from Manly C9ve outside the baths. Where does Gocher fit into this well-documented story and why did he suddenly become a hero in 1907? At this time, he seems to have been down on his luck and about to leave Manly. A few days after the Daily Telegraph article appeared, his friend, solicitor Frank Donovan, launched an appeal so a presentation could be made to him. Donovan’s action in ‘passing round the hat’ won Gocher an engraved watch, a purse of sovereigns and a place in history. Donovan’s motivation seems to have partly stemmed from the fact he was in dispute with a ‘backward’ Manly Council for its apparent lack of support for surfing. He cleverly manipulated this issue to further his career in local politics when Manly Surf Club was formed in August 1907. As this story is part of our surfing history, it is important to know ‘what really happened’. 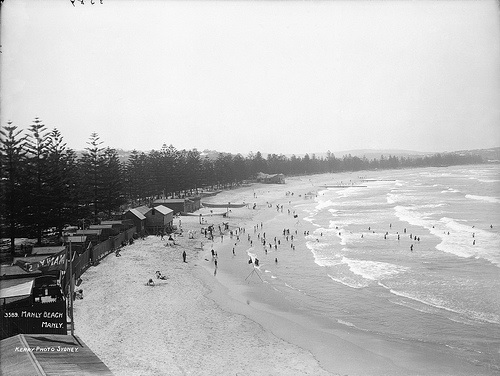 It should also be noted that the bathing regulations referred to were only applicable to incorporated districts; they had no relevance to beaches north of Manly or to Sutherland beaches, for example, because shire councils such as Warringah, north of Manly, and Sutherland in the south were not incorporated until 1906, almost four years after the Executive Council ruled that Randwick could allow all-day bathing. Anything, it seems, went in these semi-rural shires. Pauline Curby is a professional historian who has published widely. This article is based on: extracts from the author’s Seven Miles from Sydney: a History of Manly, Manly Council, 2001; Randwick, Randwick Council, 2009; ‘Heroes of the surf’, History: magazine of the Royal Australian Historical Society, June 2005. Daily Telegraph (DT), 7 January 1907. Later accounts usually fix the incident as early in the swimming season 1902. Manly Municipal Council Minutes, 9 February 1903, p. 202. The Sydney Sportsman, 9 November 1910. His name was incorrectly spelt ‘Goacher’. See, for example, CB Maxwell, Surf: Australians against the Sea, Angus & Robertson, Sydney, 1949, pp. 14-16 & R. Quinn, ‘Kelly and the shark and other memories of Manly’, Bulletin, 29 September 1943, p. 4. Key details differ in the two accounts. See Manly Daily (MD), 17 November 1910. Sydney Morning Herald (SMH), 14 November 1902. 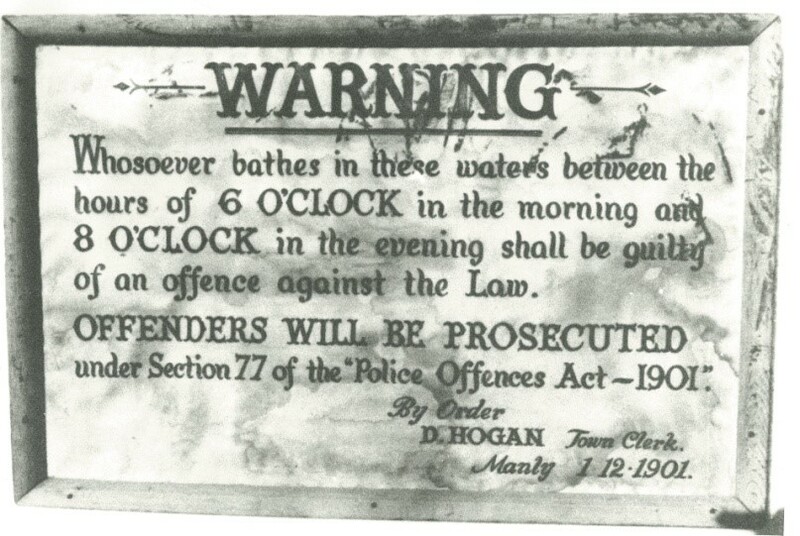 The Police Offences Act of 1901 reiterated the bathing regulations of 1838: The Statutes of NSW passed during the Session of 1901, Govt. Printer, Sydney, 1902, p. 60. SMH, 4 December 1902. Waverley Council waited until 1905 before changing its by-laws to allow all-day bathing at Bondi and the other beaches of the municipality. Information supplied by Kathy Joss, reference librarian, Waverley Library, 2000. Sydney Mail, 7 January 1903. DT, 7, 12 January 1907. ‹ Sangha, Laura: What is history for?